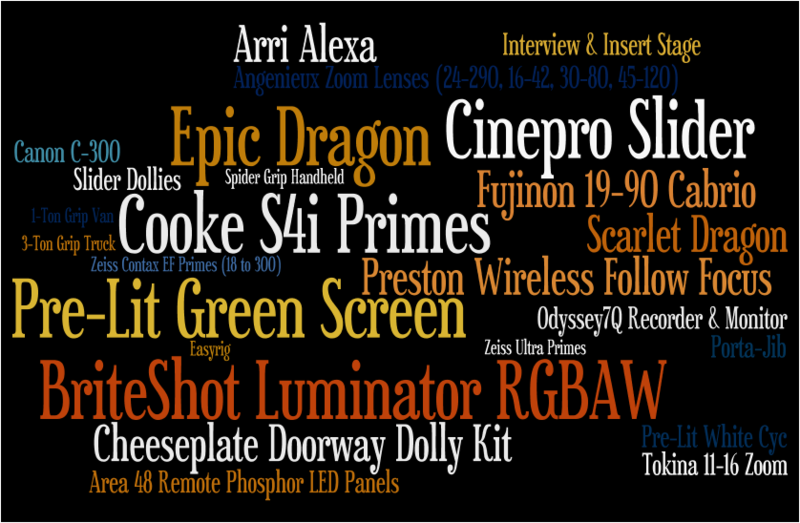 Some of you know us as a camera house, and some know us as a lighting supplier. Some of you know us for our stages, and many know us for our delicious espresso and fondness for reggae music (sorry for that last one). But do you know everything about us? We’ve assembled the following graphic to let you know exactly what we have and can offer you. Call us today at 818-771-0019 to reserve your next stage or equipment rental. Bryan Bernart is a social media marketing manager with Digital Film Studios and an independent filmmaker.